Every so often you come across a car that has every base covered, and Neil’s M3 is just one of them. 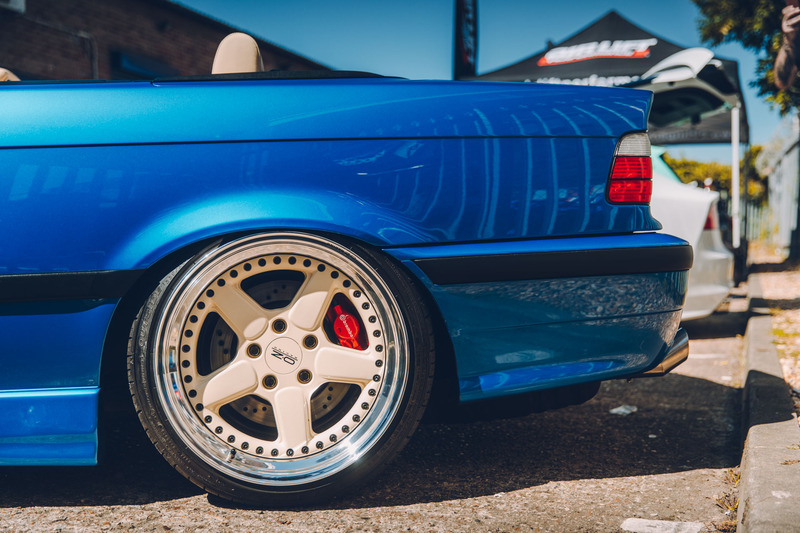 This car is full of little details and a unique combination of rare items that reads like a wish list for E36 owners. 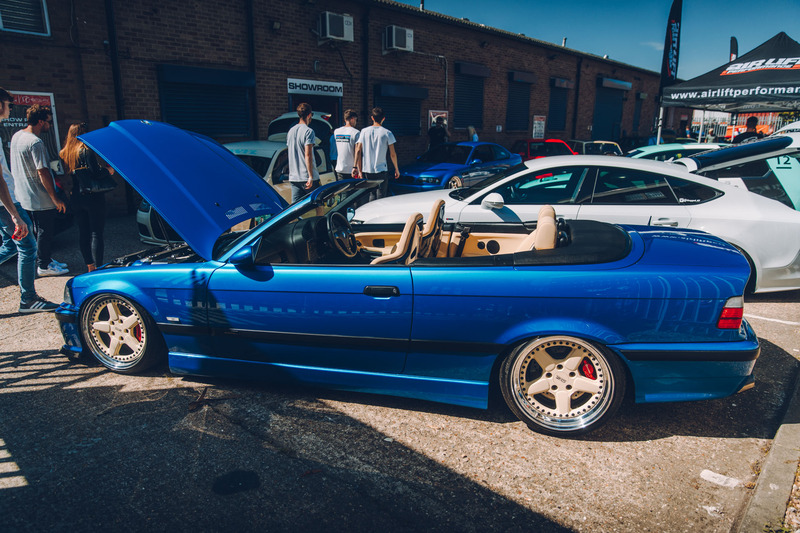 Neil’s E36 is dropped on an Air Lift Performance threaded body kit and V2 air management system, sitting low over AC Schnitzer 3pc wheels that are color matched to the interior. This gives a show-stopping parked stance and the unique flexibility to drive the car hard at ride height. 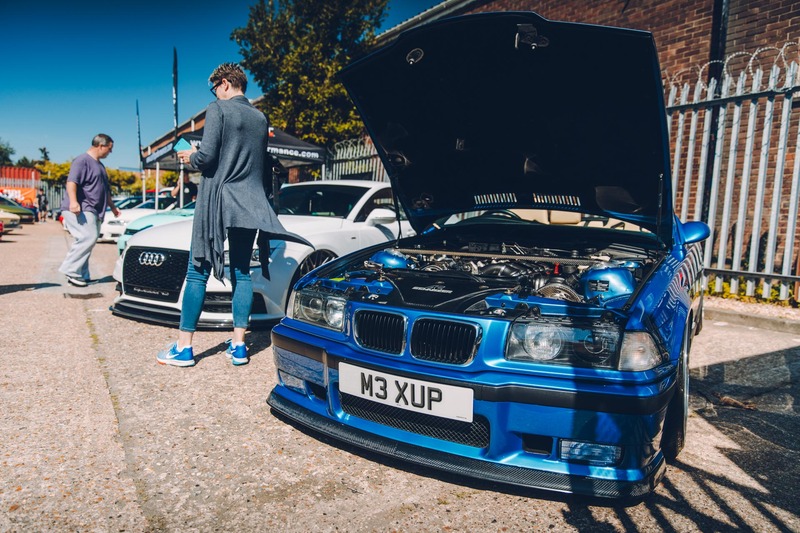 It’s a car you’d want to drive hard too – the E36 M3 is equipped with a legendary straight six engine. As it is a European variant, Neil’s car is equipped with M-Division’s multi-throttle bodies in order to get power than the US counter parts offer and a distinctive engine note. This engine note that is even further amplified by a GruppeM intake and bespoke upswept DTM exhaust system. 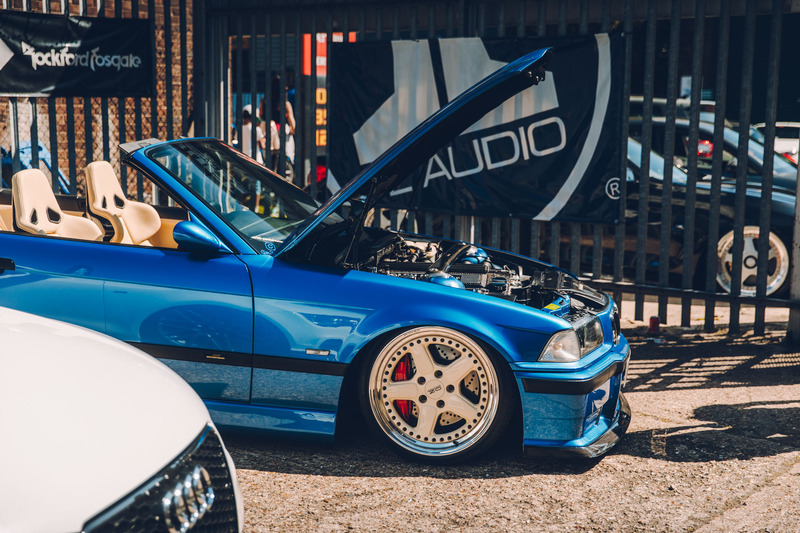 We didn’t catch this car running at the Car Audio & Security BBQ, but we’d bet it sounds fabulous! You might have noticed by now that Neil’s something of an AC Schnitzer fan. The car is covered in rare parts, from the mirrors, to the rear diffuser, strut brace and trim pieces. If it’s made by AC Schnitzer for the E36, chances are they are fitted to this car or in Neil’s stock pile. But that’s arguably not even the best bit! Peering over the low waistline of the M3, you can’t help but notice the familiar shape of the Recaro A8. These are the ultimate seat for a 1990’s build. Neil restored the A8s with parts sourced from Germany and trimmed them in a super luxury cream hide. It’s a hell of a look, and Neil has managed to keep it restrained, choosing black leather for interior accents like the seat belt clasps. It would have been easy for Neil to color match the backs of the A8s to the bodywork, but that subtle style shines through with a gloss black finish. 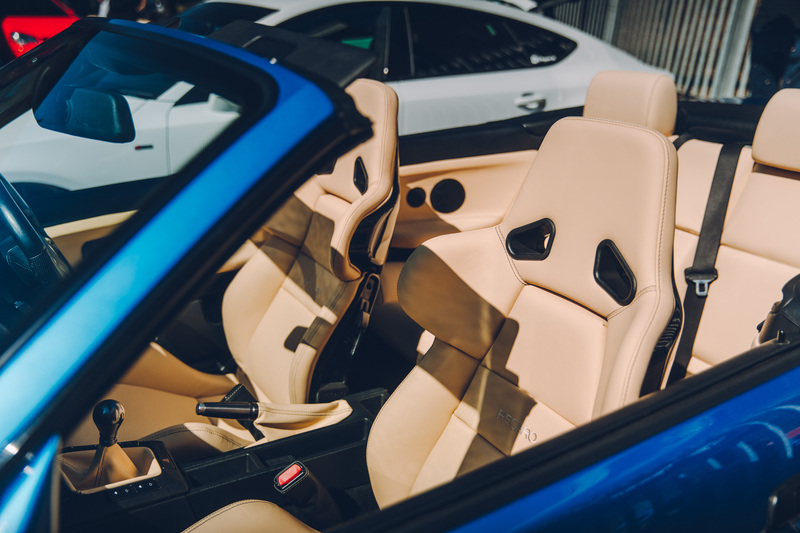 It’s certainly the right choice and ties the interior together perfectly. 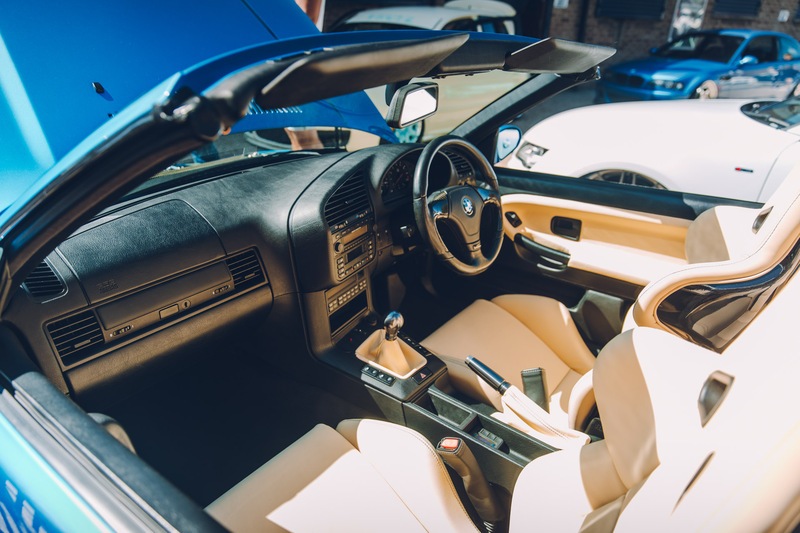 If you weren’t jealous yet, Neil also has got a matching Estroil blue E46 M3 with more carbon you can shake a stick at, as well as leather clad Recaro pole positions… Oh, and an AC Schnitzer Compact 318Ti.